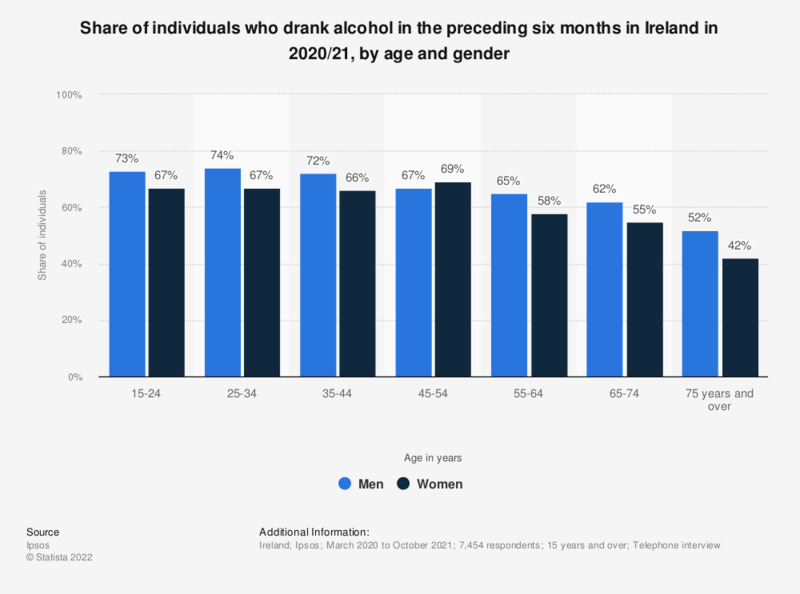 This statistic displays the share of individuals who drank alcohol in the preceding 12 months in Ireland in 2017/18, by age. Of individuals aged between 25 and 34 years old, 84 percent drank alcohol in the preceding year. Everything On "Alcohol consumption in Ireland " in One Document: Edited and Divided into Handy Chapters. Including Detailed References. One idea for trying to reduce problem drinking is to have a minimum price for different alcoholic drinks. The price would be based on how much alcohol is in each drink. In principle, how much are you in favour or against this idea? Where have you been the first time you got drunk?